Singapore – a modern day economic miracle – is known worldwide for its ease of doing business, low-tax policies, and first-world infrastructure. Adding to its laurels in recent years, the city-state, which already is a preferred destination of foreign investors and entrepreneurs to work, live and play, has gained a reputation of being a regional hub for start-ups. As is always the case in Singapore, the Government has played its part too in propelling the nation towards a thriving start-up ecosystem. One such initiative, led by the country’s leading agency SPRING, which is mandated by the Ministry of Trade and Industry to help Singapore companies grow, is called Startup SG. Representing the shared interests of the start-up community in and around Singapore, Startup SG is essentially a launch pad for entrepreneurs by providing them a platform to access local support initiatives as well as connect to the global entrepreneurial network. 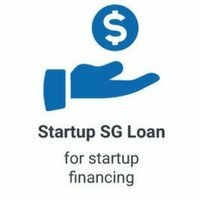 In a nutshell, if you are thinking of incorporating a company in Singapore, Startup SG is your go-to one-stop source for loans, grants, funding and capability-enhancement. The platform provided by the said initiative caters to every possible permutation of a start-up ecosystem, and is categorised under six different pillars. We discuss each one of these in detail below. 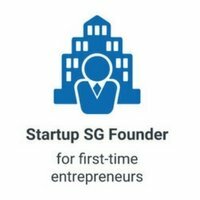 The Startup SG Founder scheme provides mentorship and start-up capital grant to first-time entrepreneurs with innovative business ideas. Under this, SPRING, which matches $3 for every $1 raised by the entrepreneur, has appointed Accredited Mentor Partners (AMP) whose job is to identify qualifying applicants based on the uniqueness of business concept, feasibility of business model, strength of management team, and potential market value. These AMPs – already 17 in Singapore right now – were approved after a call-for-partnership by SPRING in March-April 2017. They were assessed on the strength of their incubation and management team, programme quality and operational sustainability. The next call is scheduled at the end of 2017. One leading example of an AMP in Singapore is the Action Community For Entrepreneurship (ACE), which has Rikvin as its official corporate services partner. In collaboration with ACE, come September 2017, Rikvin will have presence in ACE’s base in JTC Launchpad @ one-north, which houses close to 750 startups. Notably, all applications under this scheme go through AMPs, which after its own assessment, can recommend the application to SPRING, together with appropriate milestones for disbursement of grant amounts. SPRING, then takes the final call on the grant. Once the application is successful, the AMPs also assist the entrepreneurs with start-up advice, including how to access various business learning programmes and develop useful contacts through networking. This assistance by AMPs to start-ups in their development process is carried on over the 12-month incentive period, during which a progress update on meeting milestones is also regularly submitted to SPRING. This is necessary for future disbursement of grants. Importantly, this scheme is open to all Singaporeans/Permanent Residents who are first-time entrepreneurs, must be ready to commit full-time to their company and are involved in key decision making. He or she must also not be in any other employment from the time they accept the terms and conditions of the Letter of Offer. Note: You do not need to incorporate a company to apply for this grant. If you have, it should not be incorporated for more than six months at the point of application to SPRING. And when you do register, the company must have at least 51 percent of local shareholding, with the applicant holding at least 30 percent equity stake in it. 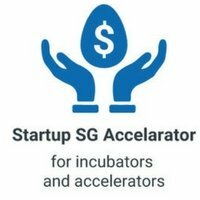 You are also deemed ineligible for the Startup SG Founder grant if you have received funding for the proposed business idea from another government organisation. 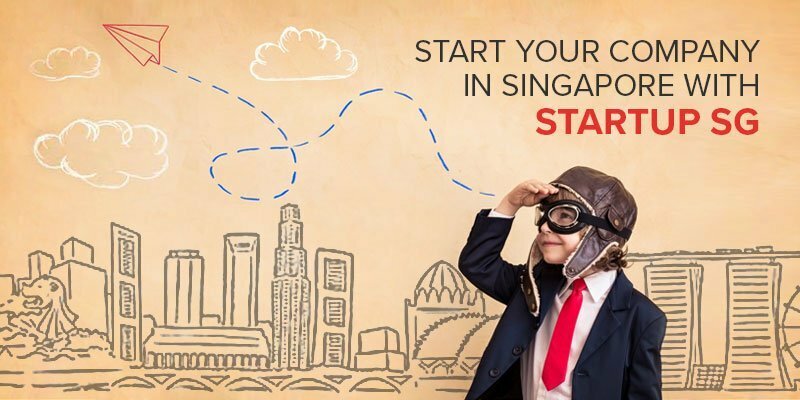 In summary, to apply under the Startup SG Founder scheme, along with a completed Startup SG Founder Application Form, you will need to submit an ACRA e-statement declaring that the main applicant is a first time entrepreneur. As per the applying rules, while submitting a business plan and CVs of the management team is optional, it is always recommended as it gives more weightage to your application. This scheme is aimed at providing early-stage funding to companies for the commercialisation of proprietary technology, and includes both Proof-of-Concept (POC) and Proof-of-Value (POV) grants depending on the technology’s developmental stage. Do note that this is a competitive grant, which tech start-ups can use to fast-track the development of their proprietary solutions and generate a scalable business model. Under this scheme, start-ups have to go through a three-stage process and directly deal with SPRING. Stage one is the registration of interest where you submit a summary of the proposed project to SPRING. After an initial evaluation, SPRING will invite you to submit a formal application in stage two. The formal application includes a full business proposal and detailed cost breakdown, which are then assessed and short-listed based on their innovativeness, technical feasibility and commercialisation potential. Stage three is when all POC and POV applicants come in front of a final evaluation panel comprising of industry experts, whose decision is final. 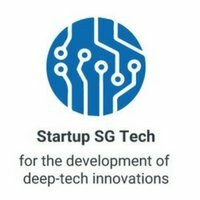 Overall, to be successful for a Startup SG Tech grant, your solution must be commercially viable, must lead to or build on proprietary know-how and intellectual property, and must be of a breakthrough level of innovation. In general, SPRING is looking for projects covering the sectors including advanced manufacturing, robotics, healthcare, biotechnology and biomedical sciences, information and communication technologies, clean technologies, precision engineering, transport engineering and engineering services. Finally, to be considered for this grant, applicants should be a start-up company with at least 30 percent local shareholding, which was registered less than five years ago calculated from the time of grant application. Moreover, the project you are applying for must not have commenced at the time of application. And when it commences, all core activities will be carried out in Singapore. Another important consideration for eligibility is that the company’s group annual sales turnover is not more than $100 million or group employment size is not more than 200 workers. Also, from August 1, 2017, SPRING will be providing grants to tech start-ups under this scheme upon the completion of each milestone replacing the reimbursement procedure earlier in place. Importantly, the grants under this scheme now carry an equity component where SPRING has the rights to exercise a share subscription of 50 percent of the awarded grant to SPRING, up to 49 percent of the total shareholding of the company. This right, SPRING says, will be exercised when a qualifying equity financing round occurs. 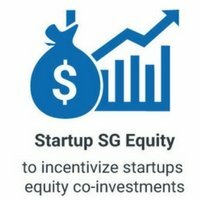 This scheme – where the Singapore Government co-invests in a startup along with third-party investors – is aimed at encouraging and stimulating private-sector investments into innovative, Singapore-based technology start-ups with intellectual property and global market potential. With regard to the co-investment ratio with third party investors, it is 7:3 up to $250,000, and 1:1 thereafter up to the investment cap of $2 million for general tech companies. The figures for deep tech companies are 7:3 up to $500,000, and 1:1 thereafter up to the investment cap of $4 million. But the Government only co-invests if the interested third party individual or corporate investors are prepared to invest at least $50,000 each, and are able to contribute to the start-up’s growth via management experience, relevant business contacts and necessary technical expertise. Moreover, the Government doesn’t invest in gambling, tobacco-related products, or any other activities which are in violation of law, or against the public interest. But to be approved, the incubators or venture accelerators must have a long-term sustainable revenue model, led by a proven management team with the necessary experience and expertise to groom innovative start-ups, and possess a unique value proposition. The funding support includes partial operating expenses such as salaries of the incubation team, hiring of mentors and experts to guide start-ups, and expenses in developing programmes to help start-ups develop new products and services, obtain business financing, and improve market access. Notably, venture capitalists and consultancy firms are not considered under this scheme. This pillar includes schemes such as EntrePass, T-UP and SME Talent Programme (STP) for Start-ups, and has a two-pronged approach. The first is to help start-ups attract good talent in their teams, and second is to foster a conducive environment for promising global talent to set up innovative businesses in the city-state. Essentially EntrePass is a work pass scheme, originally launched in 2003, to facilitate the entry and stay of global entrepreneurial talent in Singapore, which can complement the country’s local skill-sets and contribute to a more vibrant high tech start-up ecosystem. 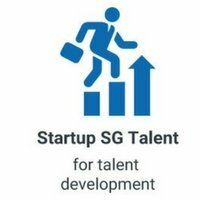 While sweeping changes were announced in 2014, just this month [August 3, 2017], the scheme was overhauled with further enhancements to the evaluation criteria in a bid to facilitate the entry of global entrepreneurial talent into Singapore. The enhanced EntrePass scheme, which came into effect immediately, is detailed as below. There are minimum criterion set for each of the three categories under which the EntrePass is issued, namely Entrepreneur, Innovator, and Investor. If you are unable to meet any of the above criteria, it is always advisable to go for a Singapore Employment Pass. Also, having already registered – or intend to – a private limited company in Singapore is a prerequisite for all. But if registered, the company must be less than 6 months old on the date you apply. If not registered, you can do so after you know the outcome of your EntrePass application. Importantly, while earlier, applicants were required to hold at least 30 percent share in the registered company, the enhanced scheme has deterred that requirement until the end of year one of holding the EntrePass. Other key enhancements to the EntrePass scheme, which were announced during the Ministry of Trade and Industry Committee of Supply debate in March 2017, include the removal of the S$50,000 paid-up capital requirement. This has been done to recognise the non-monetary contributions of global start-up talent such as expertise and relevance to industries. Additionally, the validity period of each EntrePass will be extended from one to two years, after the first renewal to provide more certainty for global entrepreneurs in scaling up their businesses. So, new pass or first renewal will be for one year, and subsequent renewals will be for two years. Also note that renewals are based on criteria such as proof of business activities, percentage of shares held in the company. This means you need to provide documentary proof of ongoing business activities as described in the original business plan, and that you hold at least 30 percent shareholding of the company. As an EntrePass holder, you can get certain family members to join you in Singapore if you meet certain requirements. Along with SPRING, InfoComm Media Development Authority (IMDA), and the National Research Foundation, supported by SGInnovate, are the other two government agencies appointed to assess and support EntrePass applicants who meet the criteria. This scheme – T-UP or Technology for Enterprise Capability Upgrading – is aimed at helping businesses build in-house R&D capabilities by accessing the pool of talent from A*STAR’s Research Institutes. T-UP subsidises up to 70 percent of the secondment costs of research scientists and engineers for a period of up to 2 years, and eligibility criterion include Singapore-registered small and medium enterprises with a minimum of 30 percent local shareholding, and group annual turnover of not more than S$100 million or group employment size of not more than 200 workers. Considering the detailed overview of Startup SG elaborated above, Singapore, it seems, has embarked on making its global reputation of being Asia’s start-up hub, even more robust. And when you add other advantages such as low corporate tax rates, tight intellectual property rights regime, integrity, skilled man-power, high productivity, rule of law, good connectivity and a high quality of life, choosing Singapore as the regional base for your company’s businesses in Asia and beyond is a no-brainer. And when you decide to do so, just note that Rikvin’s expertise in Singapore company incorporation is unmatched. There is a reason we have helped establish over 10,000 business entities in the last two decades of operations, and are the official corporate services partner for ACE as well as the Economic Development Board of Singapore. Rikvin’s expertise is unrivaled in Singapore. With 20 years of know-how in company incorporation, accounting, tax, payroll and immigration services, and as the official Corporate Services Partner of ACE and EDB, you can count on us to be your dedicated one-stop business solution.